We’re pleased to present you two little sweetnesses, they’re our new members of the Tarturumies family. 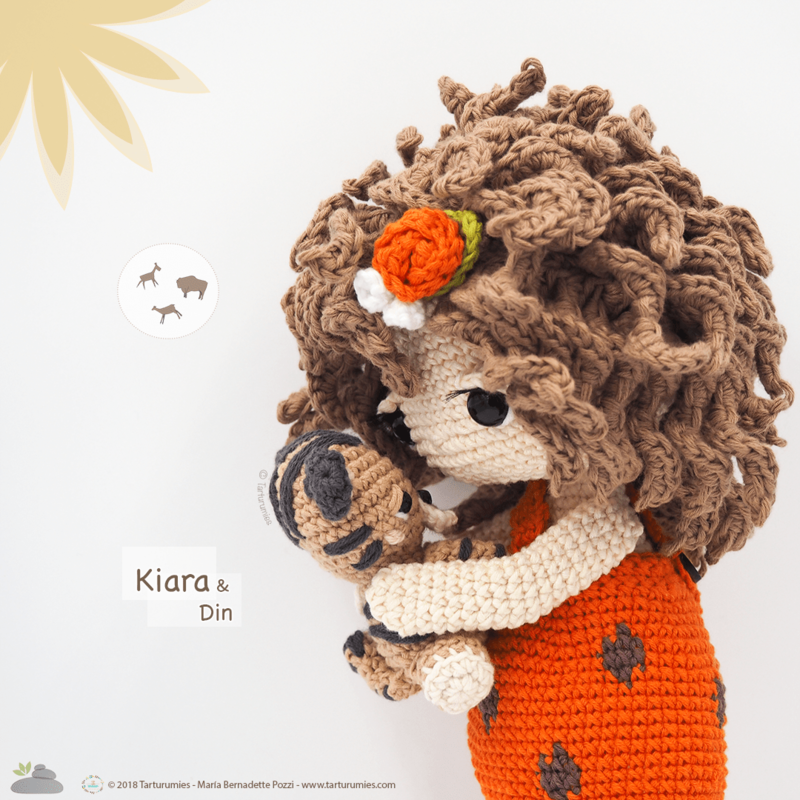 Our new friends are our humble participation in the contest by Amigurumi Patterns website “AMIGURUMI PREHISTORIC TIMES DESIGN CONTEST”  and we hope you help us by voting! 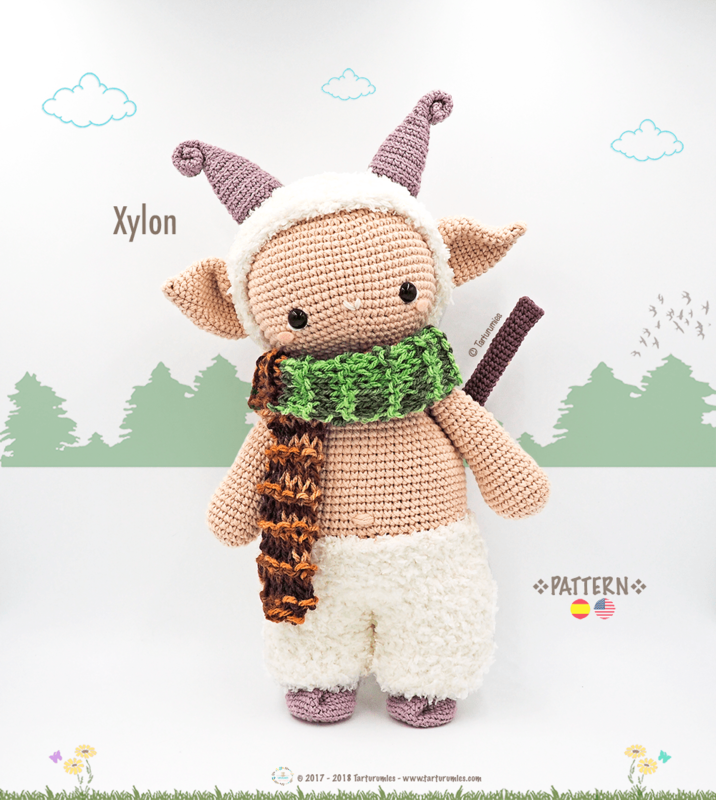 It’s our second year participating in this great contest, last year we have enjoyed together with Xylon, had a great time and this year will be even better. 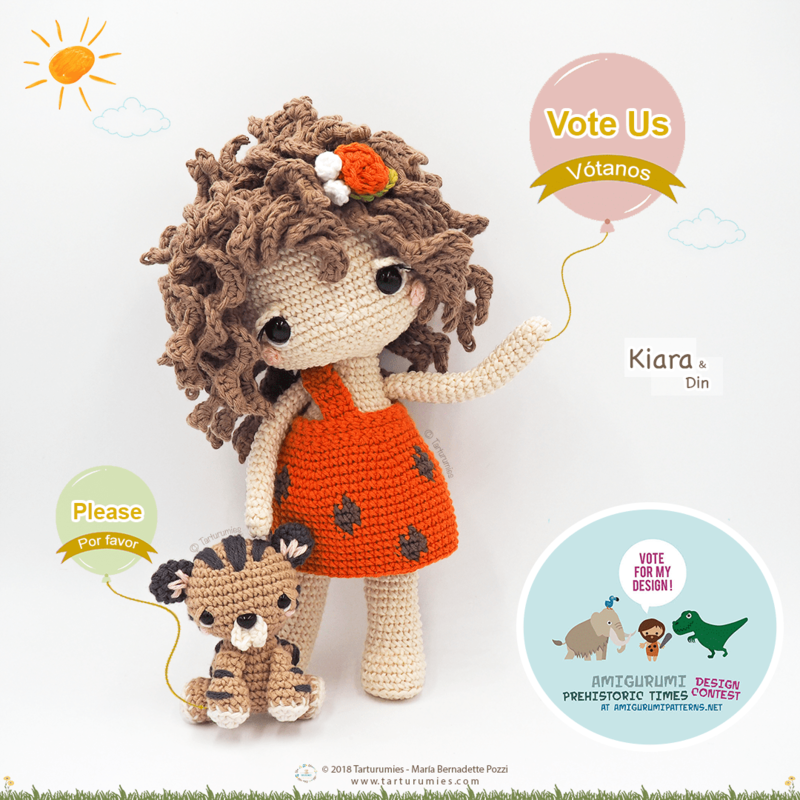 Voting will take place from November 24 till until the last hour of December 1, 2018 by the audience of www.amigurumipatterns.net . In order to vote for our little ones, we leave the link and the steps to follow to vote correctly. 1.- Give Kiara your vote (if we count on your vote) marking the red heart ♥ , this should turn green ♥ + click on 9 ♥ of other characters (10 characters in total for the vote to be valid). 2.- Enter your name and e-mail in the green pop-up screen to submit your vote. 3.- You will receive an e-mail to confirm your vote, you must click on the link they send there to finish validating your vote. (you can only participate once). 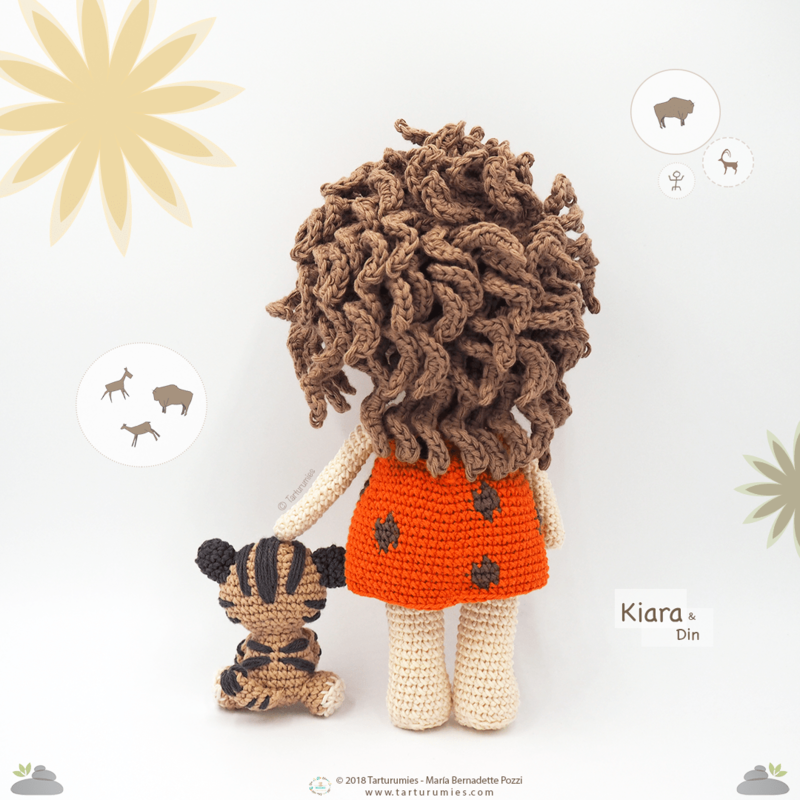 USING: Our patterns are registered with all rights reserved and they are only for personal use. 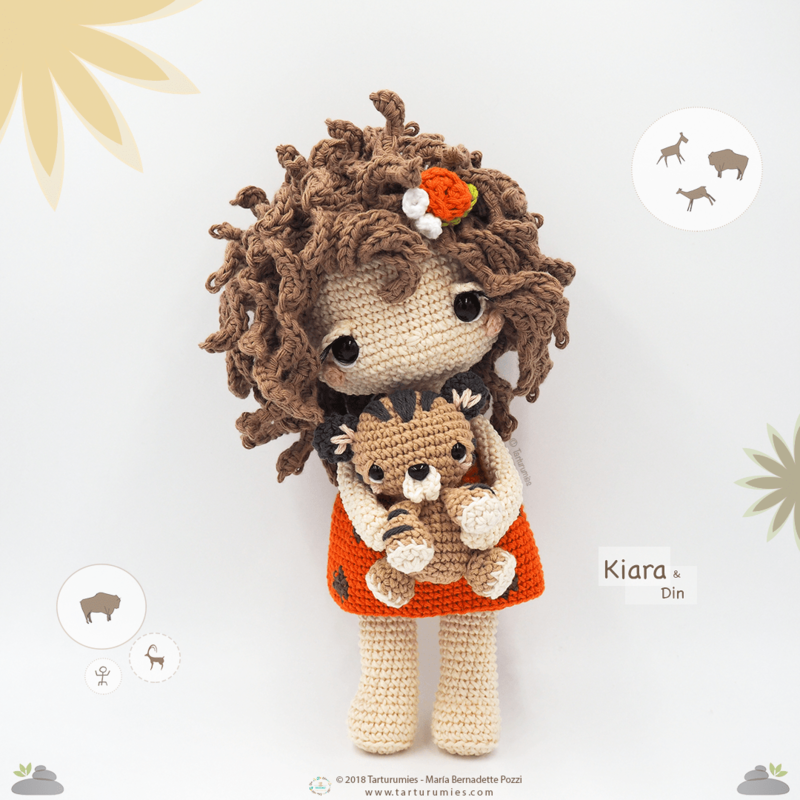 You can use our patterns to make our amigurumis for yourself, your family and your friends. 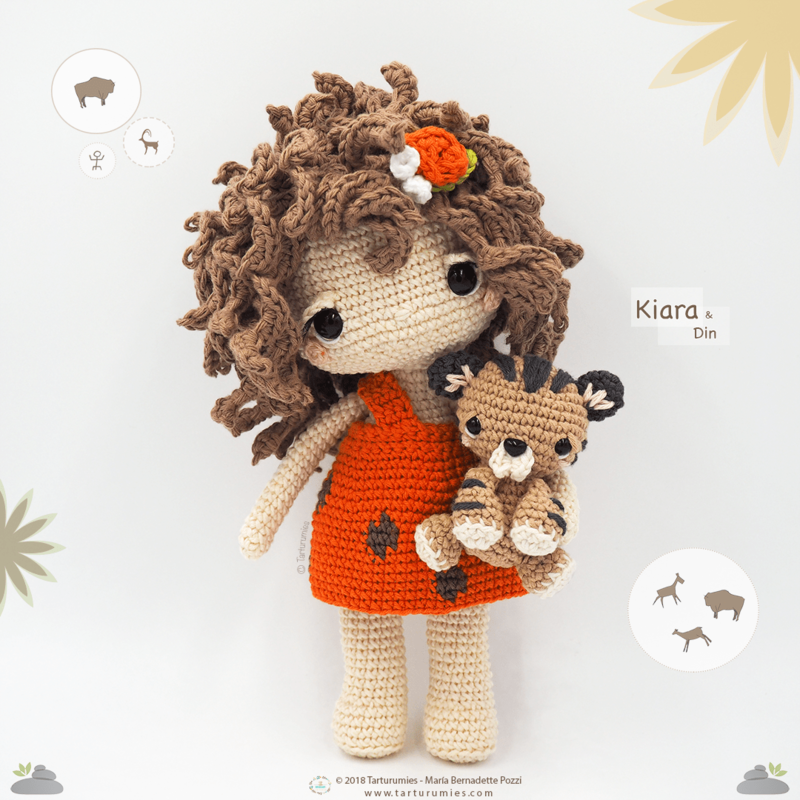 If you share the finished amigurumi in your social networks, we would appreciate you mentioning us as authors of the design, that gesture would help more people to know us and enjoy with us. 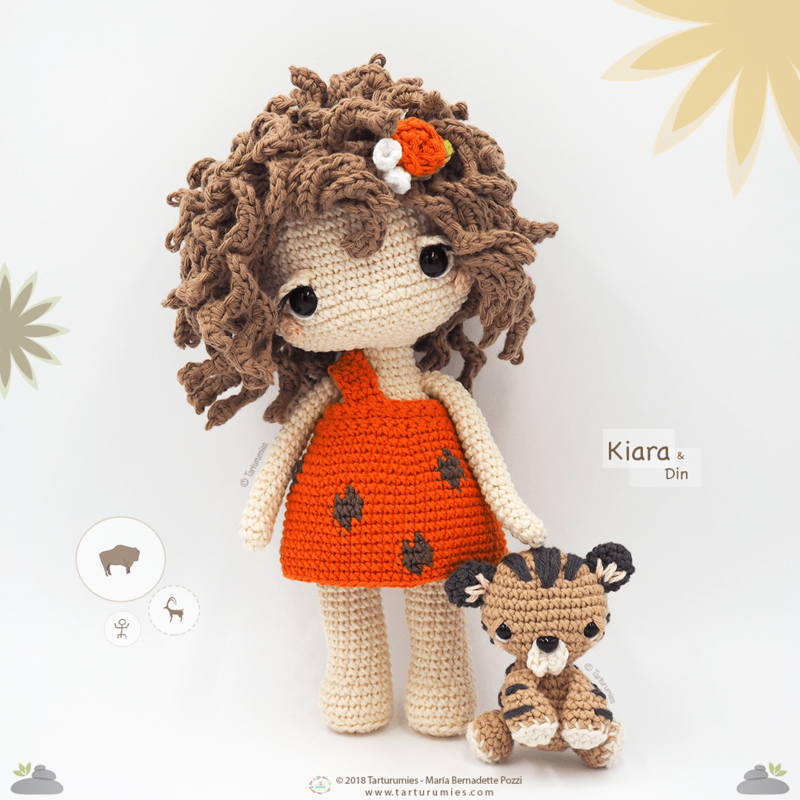 SELLING: You’re allowed to sell the amigurumis that you make with our patterns on a small scale, but please give us the credit of the design and provide a link to our website www.tarturumies.com. Please mention us in your finalish work. NO: Our patterns or parts of them can ́t: distribute them, resell them, translate them into any language, alter them, reproduce them, publish them, share them or post them (free or for sale) on the internet or in any other type of medium.